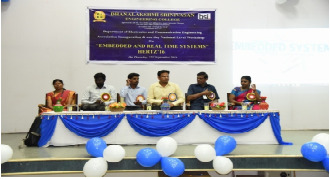 Department of Electronics and Communication Engineering conducted one day National Level Workshop on Embedded and Real Time Systems. 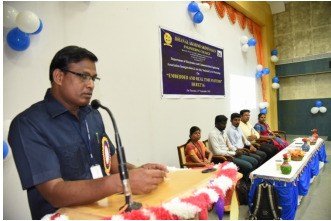 The Chief Guest Mr.A.DINESH and Mr.A.SUNDAR, Pantech Solutions discussed the developments in embedded systems and basics of Keil software. He also encouraged the students to do research works.